Please enter from Inman Dr. & Park behind the Library. Why do Christians claim Jerusalem as a spiritual home? Why are we all in our own way sworn to protect and serve Jerusalem’s promise by preserving it for Christians everywhere? What is the impact of U.S. President Donald J. Trump’s decision to recognize Jerusalem as the capital of the State of Israel on the status quo and the peace of Jerusalem? Why must the three Abrahamic faiths of Christianity, Islam, and Judaism as well as the Palestinians and Israelis share Jerusalem? Answers are found in What Jerusalem Means to Us. 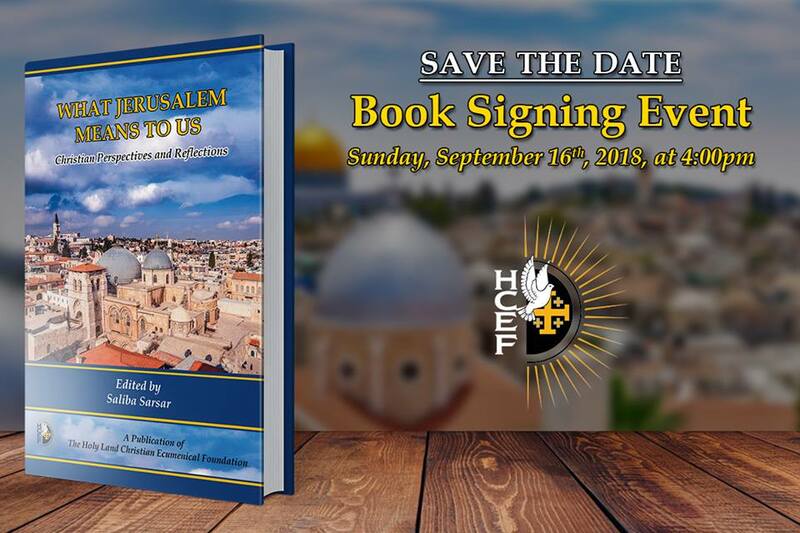 Come join us to hear from three of the contributors to this timely and unique volume of 23 essays by Palestinian and other Christians of various cultural, ethnic, and national backgrounds. Their contributions – authentic, heartfelt, wise – faithfully address the Christian stake in Jerusalem as well as the universal meaning of Jerusalem. What becomes evident is that Jerusalem belongs to humanity in general – to all those who aspire, seek, and pursue a higher calling in its hallowed ground; and it should remain as such for eternity.